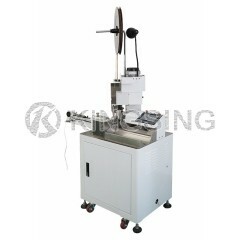 KS-T502 belongs to a basic model of Automatic Terminal Crimping Machine. 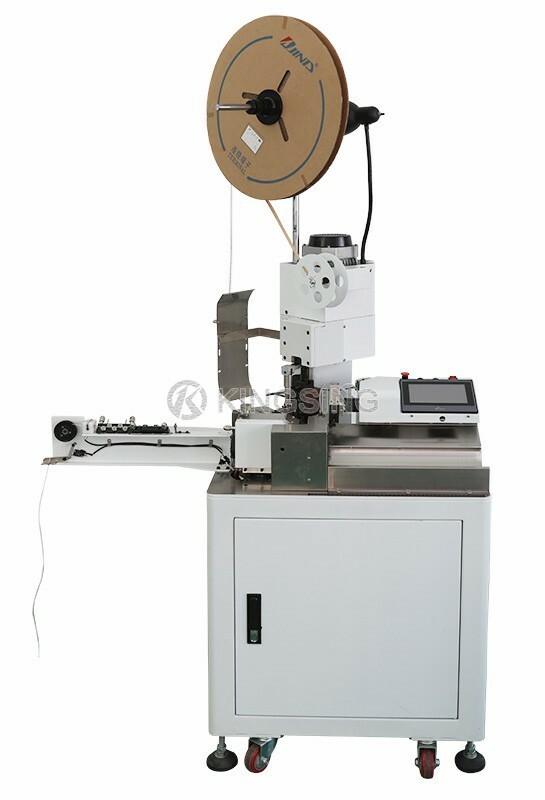 It processeswire cross section range from 0.08 to 2.5 mm2, larger wires can be customized.Integrated function of two-sided wire cutting and stripping, one sided wiretwisting and terminal crimping, this machine has a wide range of application. 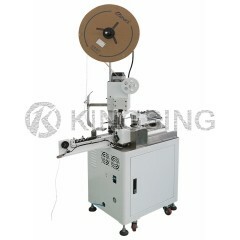 Withits affordable price and high performance, KS-T502 has brought a veryconsiderable profit to its users. All of its wearing parts are made of durablematerial, long service time. Normally, the cutting blades are designed into Vshape, but for special wires we can change it to U shape or according tocustomers’ requirements. 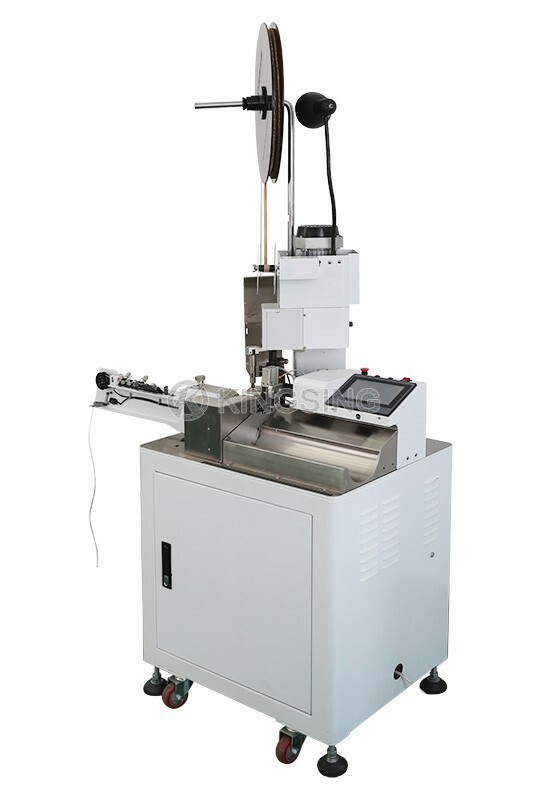 Both side-feeding die and straight-feedingdie are available for processing, and the changeover between different die setsare easy and timesaving. 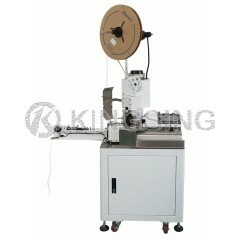 We provide customize service for customers with otherbrand of die such as JST, AMP, MOLEX, etc. 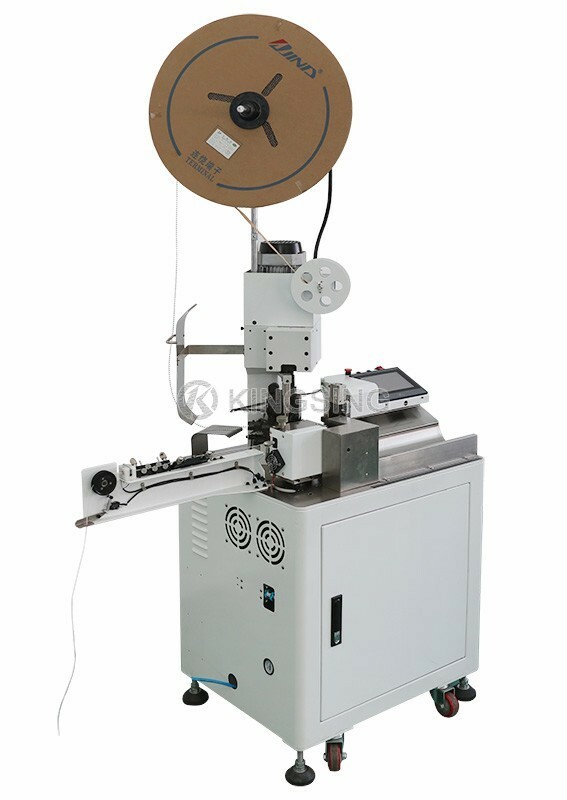 If you use loose terminals, a vibration plate will be added to this machine,allow automatic terminal feeding, all the processing is fully automatic, noneed of manual work.